Our virtual data room answers the electronic documents exchange needs of financial institutions, enterprises, media and advertising agencies, consultancy firms, as well as other corporate clients. It helps institutions share large amounts of regular or confidential documents, as well as manage access rights for multiple stakeholders within well-defined security rules. 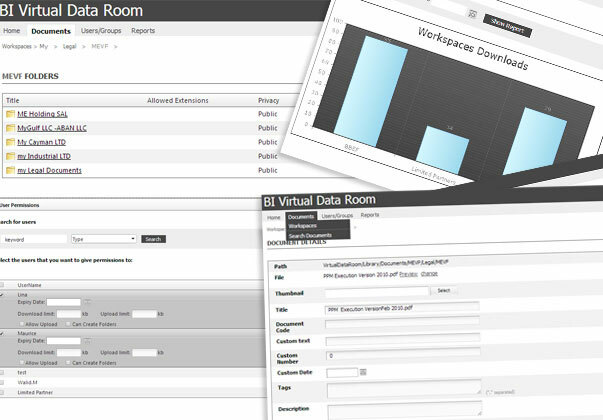 Born Interactive Virtual Data Room (BI-VDR) comprises secure areas of documents with unlimited workspaces, advanced access control, data security through encryption, as well as advanced reporting and statistics modules.